I’ll be the first to admit that I am a stir-fry-aholic. Is that a word? I’m so making it a word. Because really, what’s not to love? They’re quick, easy and SO MUCH better for you than takeout. I’m pretty sure I say this exact same thing EVERY SINGLE TIME I share a stir-fry recipe. What can I say, I like to repeat myself and tell the same stories over and over. And over. It’s a problem. My husband likes to remind me of this daily. But anyway. 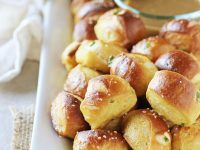 Repeat storytelling aside, today we talk my latest favorite-ist recipe! 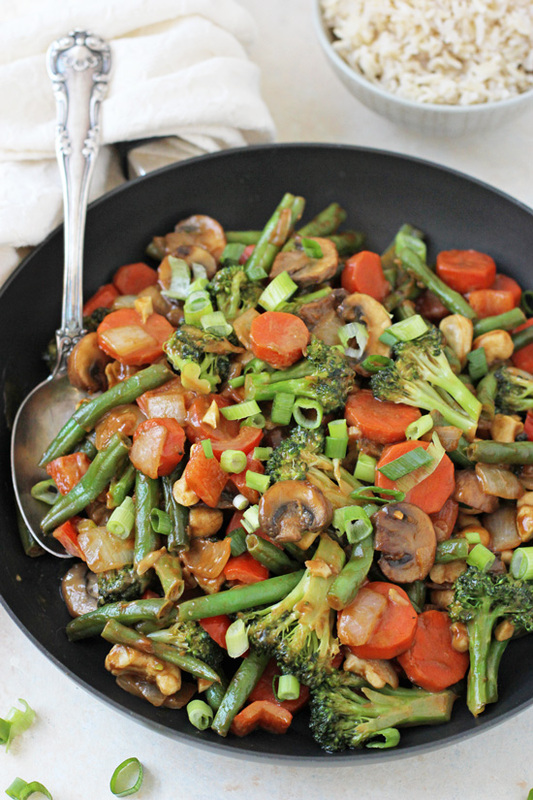 This peanut ginger vegetable stir-fry! And two! So many crunchy veggies! Crunch, crunch, crunch. And cashews. Because, cashews. It’s healthy, it’s fast (just a smidge over 30 minutes!) and it’s delicious to boot. So, let’s move right on along to some tips & tricks for the recipe. Let’s talk about the vegetables. You want right about 9 ½ to 10 cups in total. I’ve listed sizes / ounces for the veggies down below that will give you right around this amount. Along those lines, you can absolutely use different veggies based on what you have hanging out in the fridge. Just don’t use something like a sweet potato, which is going to take much longer to cook. Catch my drift?? Awesome. Let’s move on to the sauce. Whisk it together in the bowl as instructed until it’s “smooth.” It likely won’t be perfectly smooth, but that’s okay. Just as best as you can. 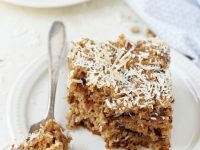 You can also mix it together in a small food processor if you’d like! While the recipe is pretty fast already, you can cut up the veggies and make the rice in advance to save time the night of. Then you’ll have a super speedy dinner! And as far as any leftovers? I’d totally advise hiding in the back of the fridge so you get them all to yourself. Not that I know ANYTHING about that sort of behavior. A fast, healthy & crunchy peanut ginger vegetable stir-fry! 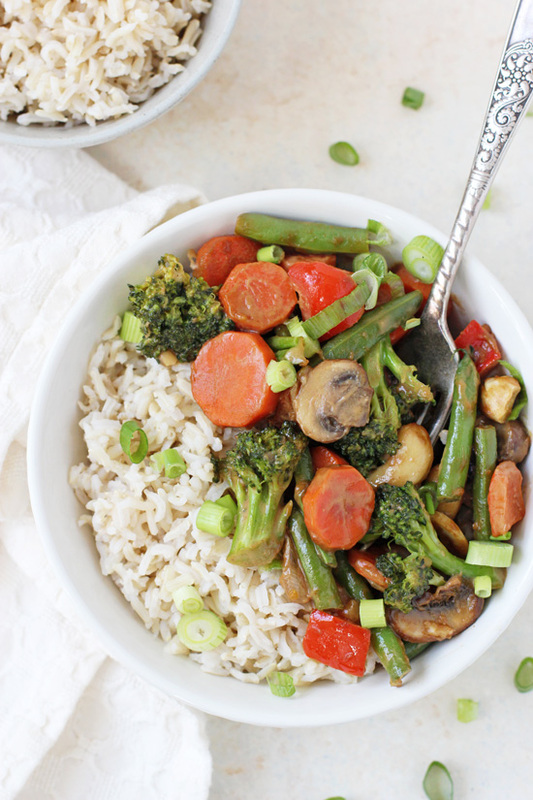 With colorful veggies and a crazy flavorful sauce, this recipe will be a family favorite! 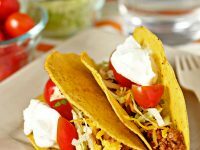 In a small bowl, whisk together all the ingredients for the sauce until well combined and smooth. Set aside. Set a large nonstick skillet over medium heat. Add in the olive oil. When hot, add in the onion and cook for about 2 to 3 minutes, until softened. Add in the carrots, pepper, broccoli, mushrooms and green beans. Continue to cook for about 6 to 8 minutes, until the veggies are tender but still a touch crisp. Add in the sauce and cook for about 2 minutes, stirring frequently, until heated through and thickened slightly. Remove from the heat and stir in the cashews. Serve the stir-fry over rice, garnished with a touch of sliced green onion! 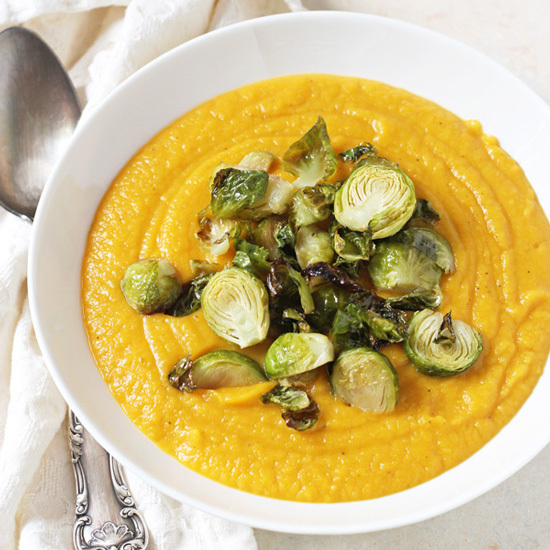 Looking for more delicious, veggie-packed meals? 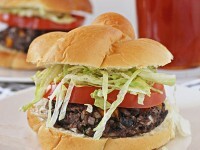 Be sure to check out the recipe I created for Oh My Veggies! Never stop with the stir-fry recipes! I love how easy and tasty they are. You are a stir fry queen lady! 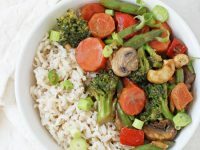 🙂 I really feel like you just can’t go wrong with rice, veggies & cashews…and this sauce sounds so good! You don’t have to sell me….peanut butter, ginger, and a pan loaded with gorgeous veggies? I’ll be right over! And I think stir-fry-aholic is a perfectly acceptable word! You can repeat yourself as much as you like, because stir fries ARE the best! Stir-fryaholics UNITE! As much as I love teriyaki, it can get old, so I’m loving this switch-a-roo! 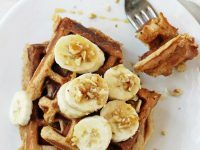 Ginger and peanut butter sounds ahh-mazing! And I’m totally loving all those veggies and cashews (my favs)! Is it dinner time yet, because I’m craving this!! Cheers, girlie! I love that peanut butter sauce! The stirfry looks delish. I’m SUCH a sucker for pretty stir-fries like this so this one is right up my dinner alley! I’m absolutely LOVING the addition of peanuts and ginger! O heck yea, I need this!! Total new favorite stir fry and the sauce does sound so spot on! Stir-fryaholic should definitely be a word! 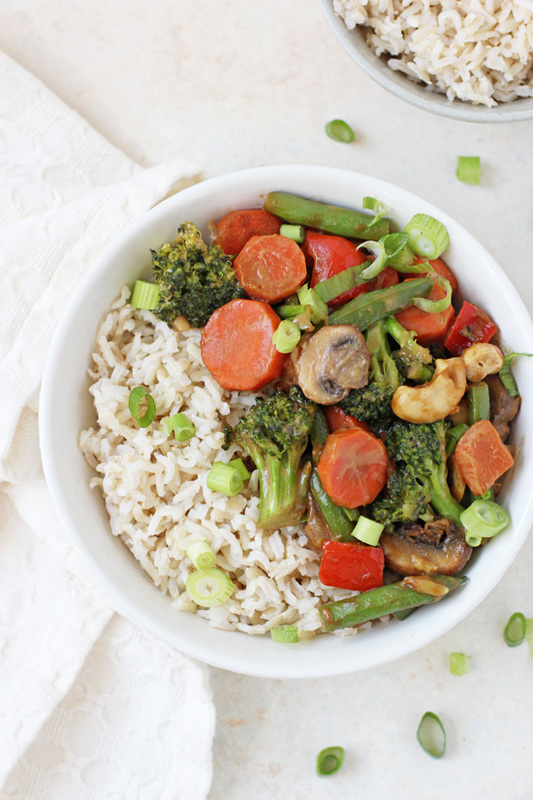 You definitely make the best stir fry dishes, Ashley! And you sound just like me…I repeat myself A LOT too, and my husband reminds me all the time. I would love to dig into this for breakfast! I love the ginger in here! haha I’m glad it’s not just me! !